STOP PRESS: You can hear me talking about Holy Wells on the 8th November 7.30 for the Upper Broughton (Notts) Local History Society and the 11th November at the Dreaming Bread and Skyrie Stanes: A Celebration of Scottish Folk Magic and Community Traditions in Edinburgh’s Netherbow Theatre. Check the events page for more information. Aside from being a water source of the farm, the spring attracted celebratory. Whether this was the result of its association with Adrian IV is unclear. However, probably because of its association with the Pope’s farm, the well is well photographed. In fact it is one of the few holy wells in the county of which anything other than pre-late 20th century images exist. This fact in itself suggests that the site was well thought of a regularly visited by the curious. 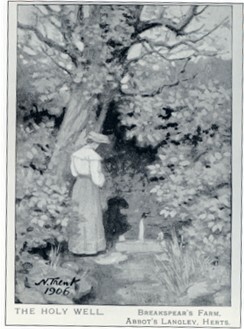 The site is shown on a postcard dated 1909, which shows the spring issuing from a pipe set into some walling with the wording. Two different magic lantern slides appear to exist, however these show a different arrangement. They do not show the walling but a simple spring. This means either the photos are more recent and the brickwork was demolished or that the walling shown in the postcard, was a tap available at the road, flowing from the other spring head and conduited to it. I originally thought this but superimposing one on another the tree shown in both images suggests we are looking at the same place. 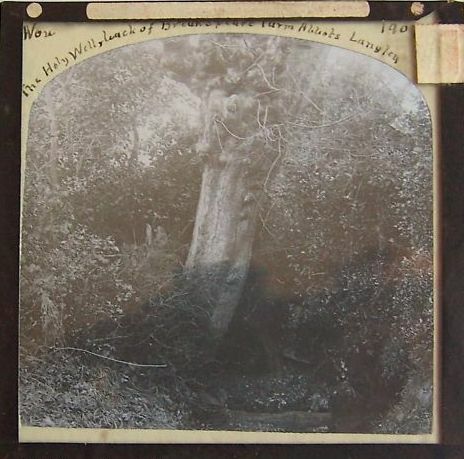 This account suggests the well is no longer in existence and in my book Holy wells and healing springs of Hertfordshire, I was informed by the Rev. 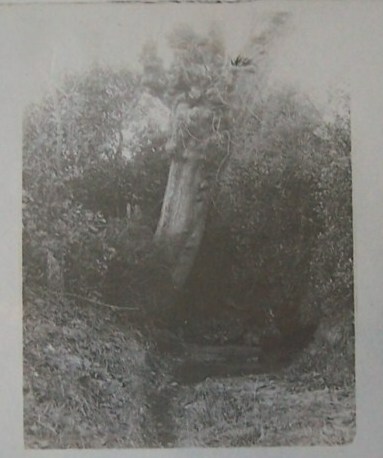 Canon Andrews, the site was lost, presumably it was lost when the farm was demolished in the 1960s. 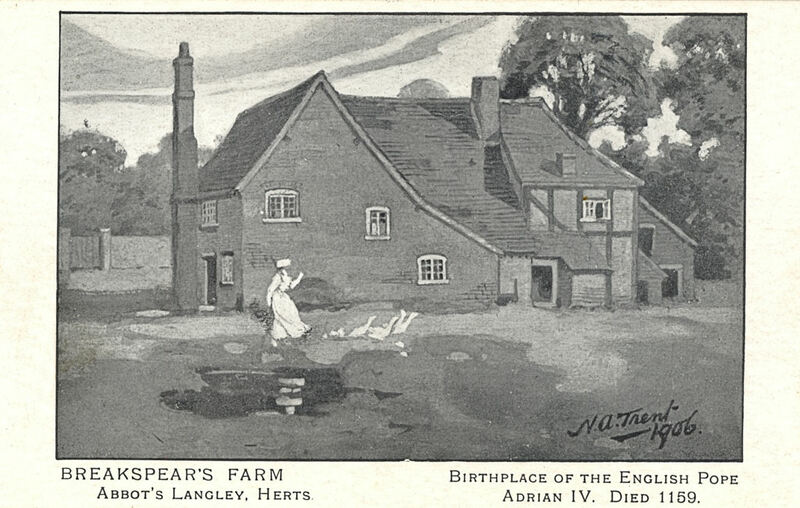 However, I was wrong and below are some photos from the Abbotts Langley Local History Society. The tree is still there lending argument to my previous thought. I plan too soon in this year of seeing the instalment of a new pope to visit this simple spring and think of an older papal person drinking from its water.